1. Select polylines for which you want to export vertex coordinates into tables (the “Select polylines” button). 2. Select the program to export the table (“Select program for export”): Autodesk® AutoCAD® or MS Word (in case of MS Word, specify the path and the file name). 3. The “Select mode” function makes it possible to select the option when the X coordinate of a polyline vertex in the AutoCAD model space would correspond to the X coordinate (of a polyline vertex) in the exported table, or vice versa — the X coordinate would correspond to the Y coordinate. 4. “Header table” — Table header. Uncheck “On” to remove this row from the table. If there is text consisting of an integer inside the polyline, this text is included in the table header. The final table header is formed on the basis of data in cells “Prefix” and “Suffix”, the text is added between them. 5. “First column” — First column of the table. In these cells you can change names of points of polyline vertexes in the table. “Start with” — if you want the numbers of polyline vertexes to start with something other than 1, specify the required number in this cell. “Prefix” and “Suffix” add text before and after the point number. 6. “Second‑to‑last row” — the second‑to‑last row of the table. Contains the value of the polyline perimeter. Uncheck “On” to remove this row from the table. 7. “Last row” — the last row of the table. Contains the value of the polyline area. Uncheck “On” to remove this row from the table. 8. “Names columns” — Names of the columns in the table. 9. “Width columns” — Width of the columns, specify the width of three columns in the table. 10. “Height cells and text” — Height of all cells and text they contain. 11. Use “Save Setting” and “Load Setting” buttons to save and load data you input into previous cells. Settings are saved even if you close AutoCAD. 12. Use the “Default Setting” button to set the default settings. 13. Click “OK” to start the export process. 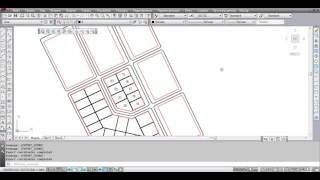 When converting coordinates to AutoCAD, the program requires the point to insert tables. 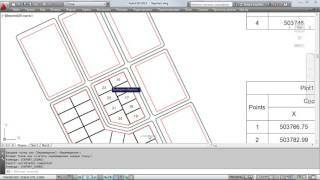 This application speeds up for job with the planning projects and land survey. With it I can get the coordinates of hundreds of sites for a few minutes. Thank you very much for the app!! !